State-run Chinese papers said the number of warships assembled “the largest of its kind in 600 years.” This is following the 14th-century fleet admiral Zheng He, whose large expeditions in Southeast Asia, South Asia, Western Asia, and East Africa — helped establish China’s power through expansion of the Maritime Silk Road during the Ming dynasty era. 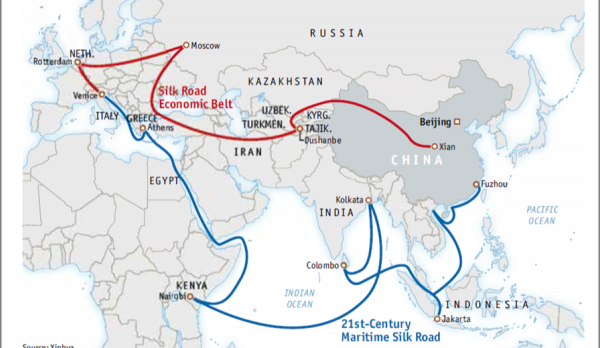 Which by the way, looks similar to President Xi Jinping 21st-Century Maritime Silk Road. Just a few days after Beijing’s historic show of force in the South China Sea. President Xi Jinping sent Taipei a clear message with warnings of ‘last-minute’ live-fire drills in the Taiwan Strait, said the South China Morning Post. The one-day naval drill will be conducted on Wednesday, which marks the first time the PLAN has held live-fire exercises in the strait since September 2015; also coincides with Taiwanese President Tsai Ing-wen four-day trip to Swaziland. 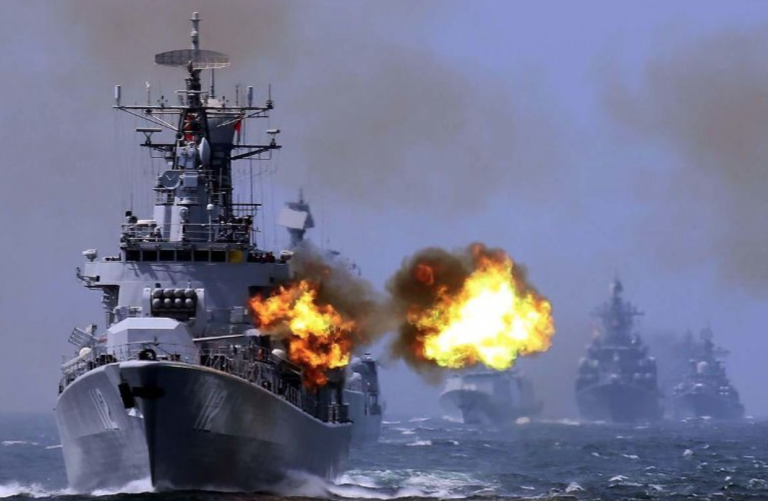 Song Zhongping, a military expert and TV commentator, told the South China Morning Post that Liaoning’s presence at the upcoming war drill in the Strait would send a forceful message to Taipei. “It’s likely the Liaoning carrier strike group will take part in the Taiwan Strait drill, presenting a direct and powerful deterrence to Tsai’s administration and the island’s independence-leaning forces,” he added. A source close to the PLAN told the South China Morning Post that the major objective of the Taiwan Strait exercise is to show Beijing’s support for Russia, which is facing a very high possibility of direct military confrontation with the United States in Syria. “[US President] Donald Trump’s warning of military attacks on Syria forces was a bit of a surprise for Beijing and Moscow,” the person said. However, both military analysts, proficient in Sino-US relations, maintained that the military drill was aimed directly at Taipei ahead of a visit by US national security adviser John Bolton to the American Institute in Taiwan. Earlier this month, the Trump administration cleared various American manufacturers for business to sell submarine technology to Taiwan, which deeply angered Beijing. “The live-fire drills would almost certainly be intended to be seen as a response to the Trump administration’s new initiatives over Taiwan,” Steve Tsang, director of the SOAS China Institute at the University of London, said. Ni Feng, director of the Institute of American Studies at the Chinese Academy of Social Sciences, said the parallel events of the Syrian crisis and the Taiwan Strait war drill is coincidental. “Beijing needs to send its warning to Taipei on time if Bolton wants to visit Taipei, which will obviously be a breakthrough [in the US-Taiwan relationship],” he said. “With Trump’s love for transactions and linking issues together, it is conceivable that he is using Taiwan as a potential bargaining chip with China,” she said. 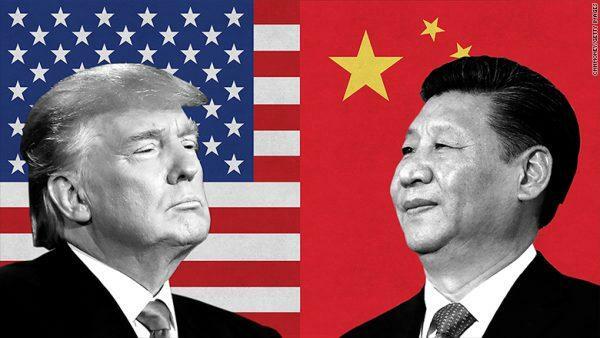 That move increases “the possibility of an armed conflict between the US and [mainland] China out of miscalculation; and it creates an illusion that Taiwan is up for negotiation”.